Ipsy is a monthly Makeup/Glam bag that sends 4 – 5 product samples (some are full size), it may contain skin care products in later iterations. The cost of the Ipsy bag is $10 a month with shipping included and is a great way to try new products inexpensively. 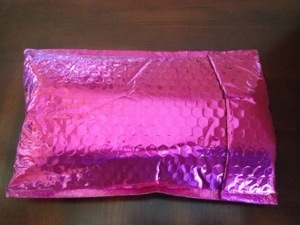 Still loving the vibrant pink bag letting you know that your Ipsy is HERE!! The theme this month is “Super Stars” with the intent to “indulge in the best finds that the beauty world has to offer. 2013 will be the best year yet!”. 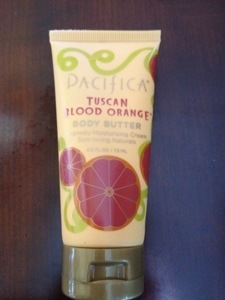 This body butter smells Awesome! Like really good, even better than you would expect, with a very real orange scent! Amazing! It is also 100% vegan and free of parabens. We will most likely be buying more in the near future. This is a classic and true red color. Although I do not normally wear such a bright red color (this coming from someone who has no problem wearing purple nail lacquers!) I know a few friends who do and would love to get there hands on this and happily report back! I have never tried this brand of hair styling products and I mostly just use a straigtener on my hair but I will definitely save this for the next special occasion I curl my hair! 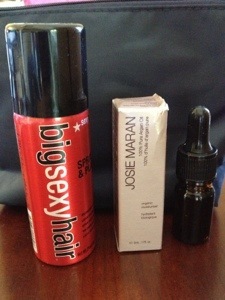 This is the second bottle of argan oil this week! I have definitely seen it around, but normally use pequi in my hair. 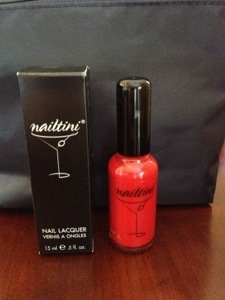 I am definitely excited to try this and see if it is as good as everyone raves! I love makeup brushes and believe they play a BIG part in the outcome of your makeup application, very much like having the right utensils in the kitchen or tools for a job! 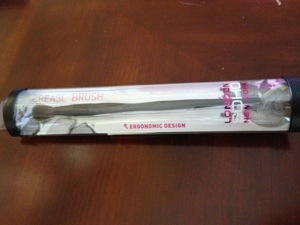 I am very happy to see this in here and will always welcome new brushes! The approximate price of the products this month is $36.14. I only paid $10.00 , not quite as high a value as last month but still well above what I paid! All of these products are not only useful but such a great value to boot! This was a very good monthly bag and I am excited to see next month’s glam bag!